So, I started this new job (love). But I am all off kilter with routine and schedule, I don’t know which way is up. And workout? Today? Nope. Boo. The simple fact that I drive to a new office is throwing me for clumsy loops. Not surprising. I am Swim Bike Klutz, afterall. 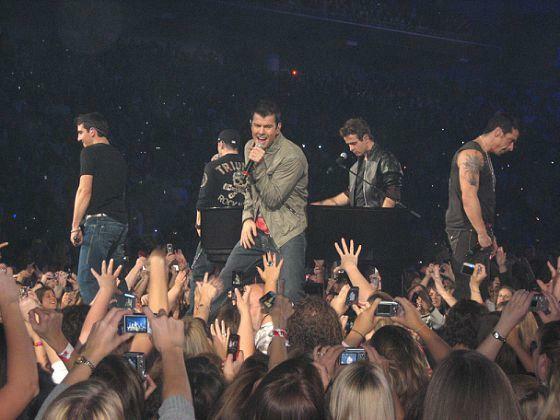 Yes, it all started out as a bit of a joke, going on the New Kids cruise… but then Danny! Donnie! Jordan! Joe! and Jon! The thought of not going…. I couldn’t stand it. 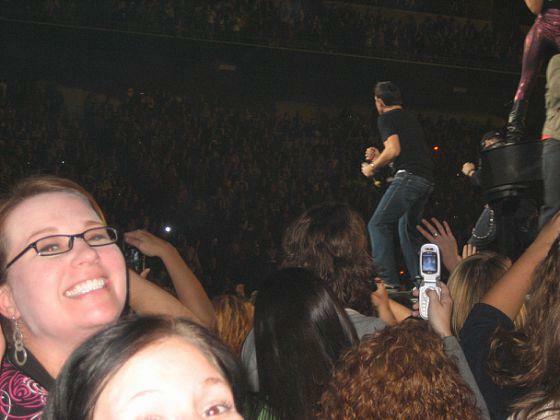 By the way, this is me in the picture below (far left, goofy, with glasses) at the NKOTB concert in Atlanta back in 2008. I was huge and pregnant with my Stella, and I was still hoping a New Kid would take this Big Kid, pregnant with kid, home… ha. 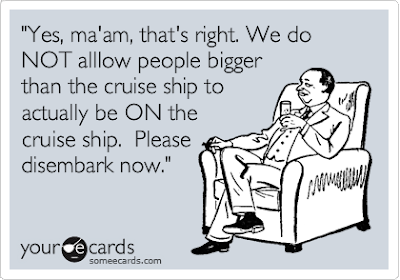 The best part is that I am dragging the Expert along my crazy cruise adventures. It’s not as if the boat isn’t a standard cruise. There will be cruise things for him to do while I am finding Danny to marry me on board… oh, I really should not be typing all this. Anyway. Excited about the trip. But scared. Seeing as how I emailed Coach Monster a few minutes ago with the subject line “Bad Athlete” and then explained my sorrow for missing my workouts today. Seeing as how I will have access to limitless buffets of buttery things on this cruise (and no, I do not mean the New Kids)… I am feeling a little Operation Miami Mission 70.3 derailed. Do I really try and stay on hard-nosed track with my workouts and eat carrots on this trip? Or just be moderate? Get moving a little, do my workouts, but have a good time (e.g., cheese, wine and peanut butter covered anything). Knowing me… I will be found somewhere on Half Moon Cay… passed out in the sand, extremely sunburned, wearing an inappropriate bikini along with my Shimanos, clutching a Corona and babbling about big triathlon dreams…. Damn right! That means I did vacation right! Oh yeah!